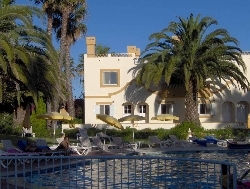 Welcome to our selection of holiday rentals in Lagoa. Lagoa is a small quiet town along the coast of western Portugal that has a harbour, several pleasant beaches and some attractive golf courses. Like other towns in the area, Lagoa was mostly destroyed in the earthquake of 1755 and was restored into the town that is today centred around the main church. Very little survived the earthquake; Nianueline doorway to the bell tower is all that remains of the church built in the 16th century. The town is very traditional in its architecture with white buildings throughout that it�s almost like going back in time in many areas of the town. Whereas other towns may have modern side and an old town district, Lagoa would be almost entirely "old town" in comparison, with very little modern buildings. You will still find modern conveniences though; there are several great fish and seafood restaurants here. In August, a fair named Fatacil is held in the town to exhibit commercial and rural produce, however the fair turns this quiet town into a lively place with bands and singers entertaining everyone. 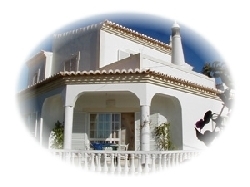 Looking for self catering holiday accommodation in Lagoa? Then below is a selection of holiday villas in Lagoa and holiday apartments in Lagoa that can be rented direct from their owners. You can either click on each listing for further details or you can use our search engine on the left if you are looking for something in particular.